It’s been a year of growth and celebration in Kiosk’s North Bay office. We recently celebrated ten years as a company, and three years based in California. 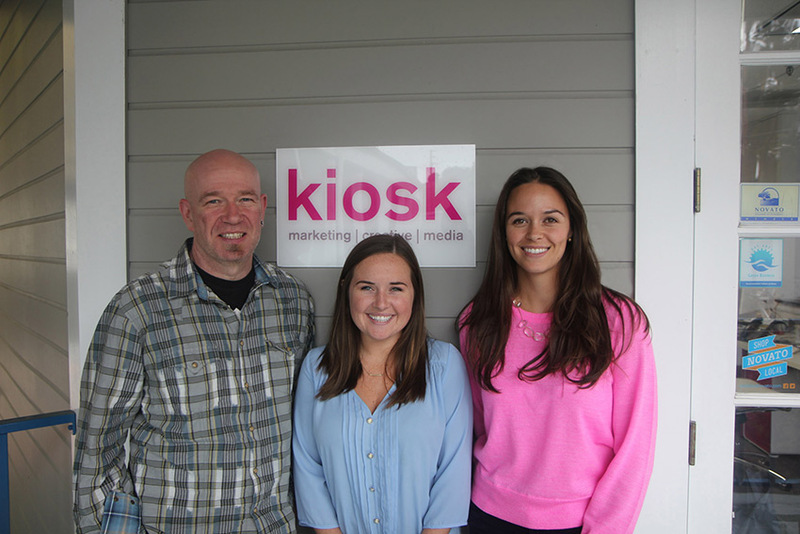 Now, with the year coming to a close, we’re adding three more members to the Kiosk team. Jeanne-Louise Camus joins us as our latest Account Executive. Jeanne-Louise has a Masters in Public Administration from New York University, and extensive experience developing and managing philanthropic projects within the Sutter Health system. She has an entrepreneurial spirit, enjoys “getting things done” and is equally comfortable building websites, navigating public sector processes and mastering her latest home-agriculture project. Molly Lazor joins us as an Assistant Account Executive, having spent the summer as our marketing intern. Molly’s a University of Washington graduate, with a BA in Environmental Studies, and she’s already made a big impact on our working environment, having planned our memorable anniversary party. She’s now busy putting her planning powers and can-do spirit to work for Kiosk clients. Rounding out our trio is Mark Day, Senior Copywriter with long links to the Kiosk family tree via mutual roots in the video game industry. More recently, Mark worked as a creative specialist at YouTube/Google, and can often be found documenting the Bay Area alternative-circus scene. His distinctive Scottish accent adds additional transatlantic flavor to the already-international Kiosk team. We welcome our latest hires, and look forward to the impact our growing crew and capabilities can deliver to our clients in 2015.